Professional target diagram drawing software with lots of build in target diagram examples and templates. Easy to illustrate foundation-based relationships. 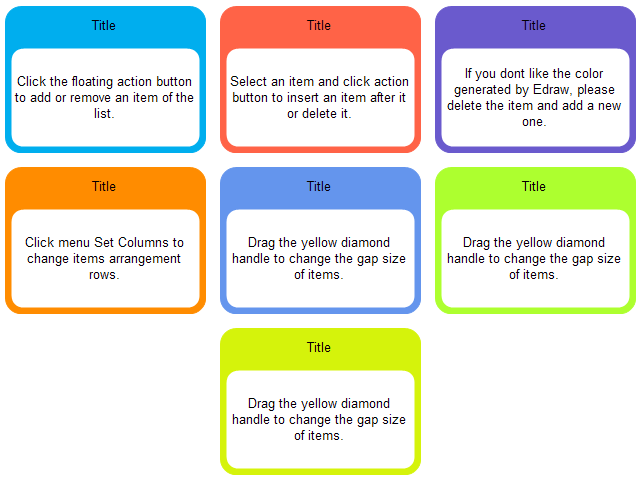 A wide array of built-in target diagram examples which make it easy to illustrate steps towards a goal. An example of target diagram is presented below, showing four-layer target relationships. 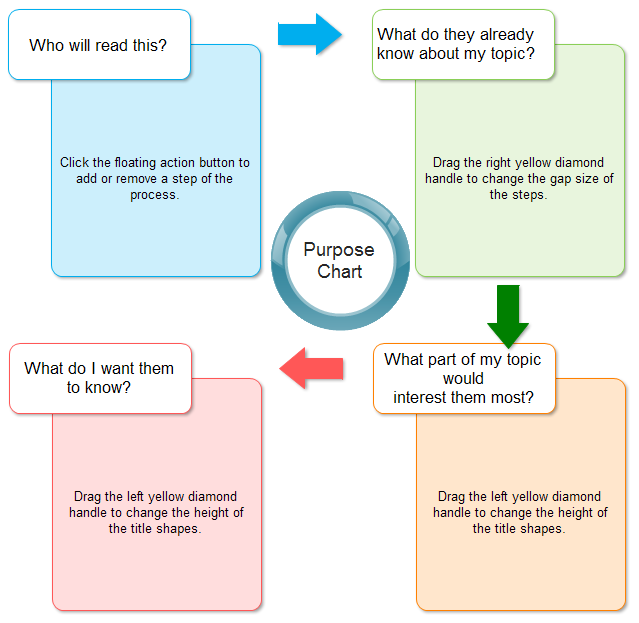 You can use the target diagram to design the steps toward a main goal. 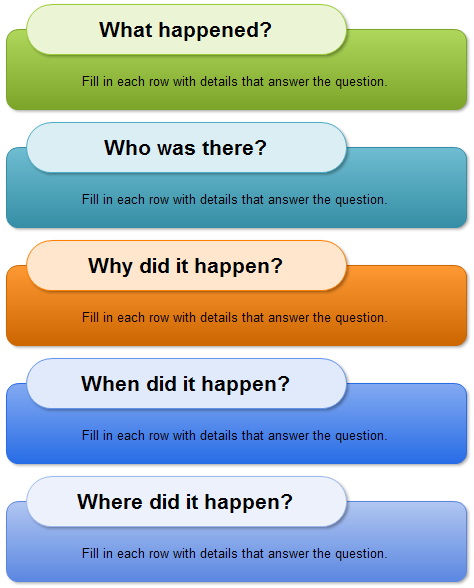 The following target chart template shows information in relation to a main idea. 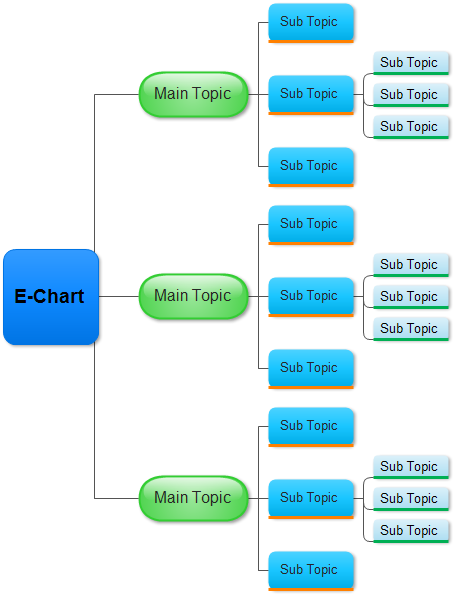 This diagram can be regarded as a main idea mind mapping. With Edraw Max software, it's very easy to draw a target diagram from target diagram templates. 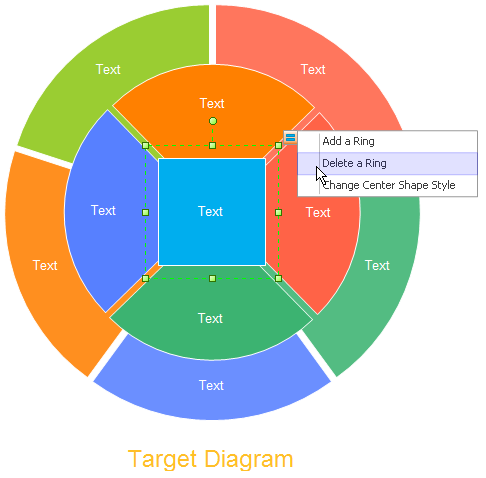 Just drag these predefined smart target diagram shapes into the canvas. Then click the action button to modify them. 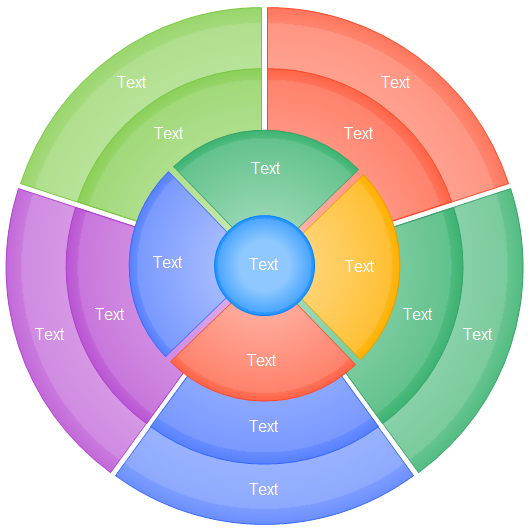 The Target Diagram template is located at Circular Charting Diagram category. As the above image shows, you can click the 'Delete a circle' item to remove a circle around the center. Click here to free download Diagram Software. 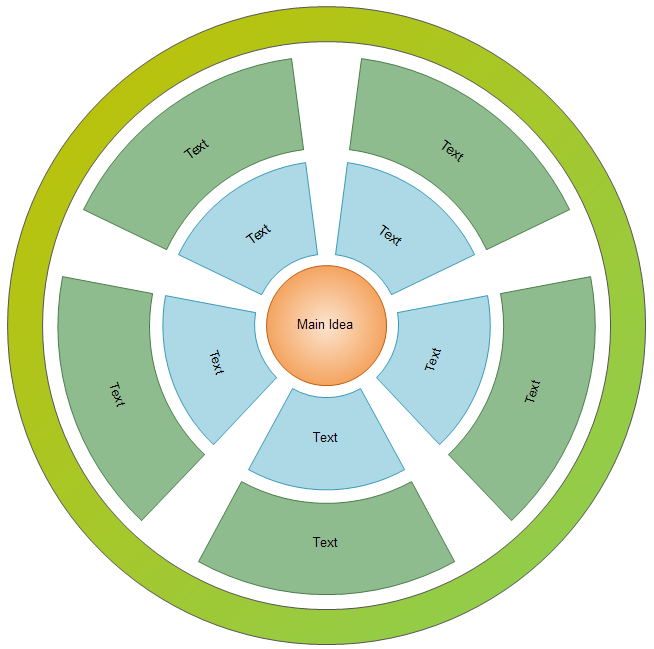 Then you can use the built-in target diagram examples to make and present your idea rapidly.